Argyle Street's hodgepodge of flavors, smells, and cuisines can be overwhelming for people who stop reading after this sentence. For everyone else, though (that's you! 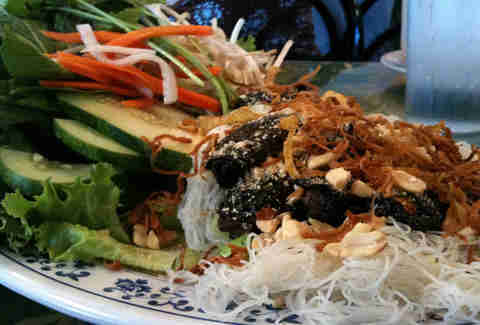 ), this handy guide will help direct you to Argyle's eight best Vietnamese and Chinese dishes. Tony Hu quickly conquered Chinatown, then continued to expand his restaurant empire into this Uptown outpost of his flagship, which specializes in the cuisine of the Sichuan region of China. 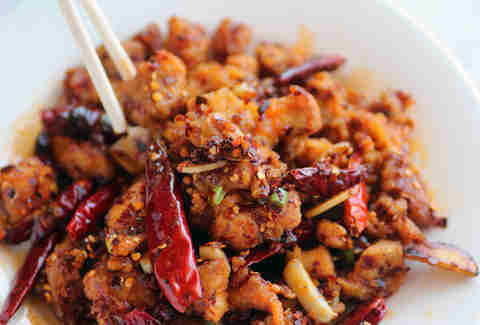 Lovers of spicy foods will be in heaven (most dishes on the menu pack heat), as will lovers of dishes people refer to as "chicken crack" (its signature dry chili chicken that's all kinds of addictive, with little hunks of fried chicken tossed with Sichuan peppercorns and chiles to produce a powerful kick). Not into spicy foods? Go for the crispy mayonnaise shrimp in lemon sauce, which is a zillion times better than it sounds. 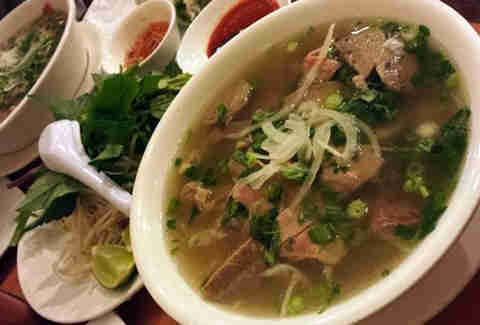 Located on the busy corner of Argyle and Broadway, Tank Noodle is undoubtedly Chicago’s most popular spot for pho. 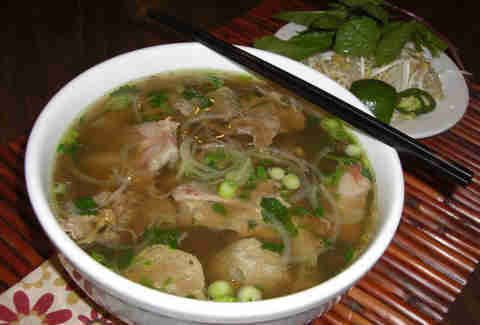 The Vietnamese noodle soup is a favorite around the world, usually served with beef in an intoxicatingly pungent broth. Tank’s best-seller is a winning combination of sliced beef, brisket, flank steak, tendon, tripe, and meatballs (SO. MEATY.) loaded with as much basil, bean sprouts, and jalapeños as you want. It’s the perfect remedy for a hangover, or a cool Chicago day. If you’ve never tried Chinese barbecue, this is the place to start. Hanging meats line the windows, and you’ll find everything from roast pork and duck to salt baked chicken. 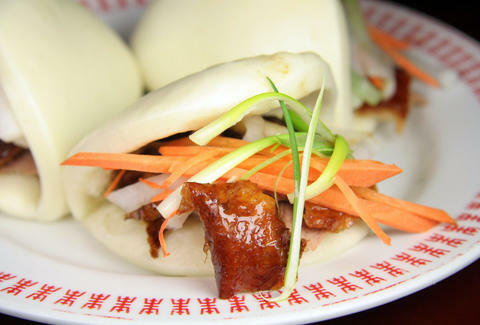 But the real reason people flock here is because of the Peking duck feast -- a whole roasted duck is brought to the table, carved, and served with the traditional steamed bao, garnish, and hoisin sauce. 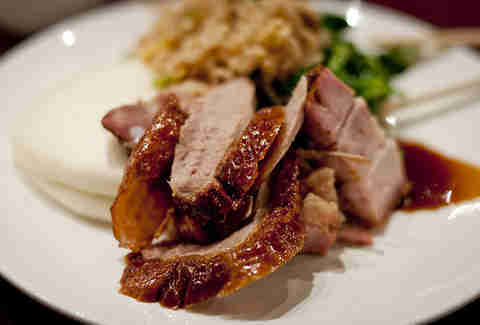 The remains are then used to prepare a duck with Wintermelon soup, as well as duck fried rice, for a prix fixe meal that won't break the bank ($40). 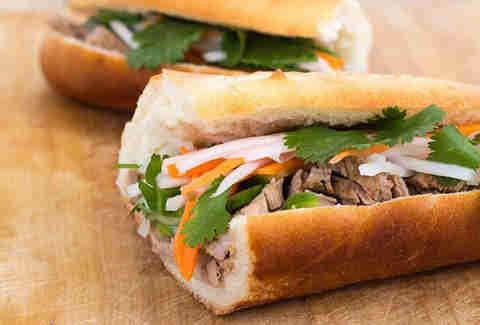 Get your French-influenced Vietnamese on with a Ba Le banh mi, loaded with native Viet-gredients (cilantro, fish sauce, and pickled carrots) and cuts of meat on a perfect baguette. Ba Le keeps things fresh with a mix of new flavors on specialty sandwiches (like the beef prime rib, crispy chicken, and cod fillets), but it’s still the classics that reign supreme. And it doesn’t get any more old-school than the special: a Saigon-style combination of pate, ham, headcheese, and pork roll. There aren’t many places in Chicago offering the authentic dim sum experience. Not only is Furama one of them, but it's one of the best of 'em. Servers roam the dining room pushing carts full of tasty, bite-sized dishes served in steamer baskets. Traditional staples include shrimp dumplings, spare ribs in a black bean sauce, and rice noodle rolls with shrimp, beef, or BBQ pork. More adventurous eaters can try the chicken feet -- a popular dish in China that’s marinated and braised for a flavorful texture that’s unlike any of the other feet you eat. 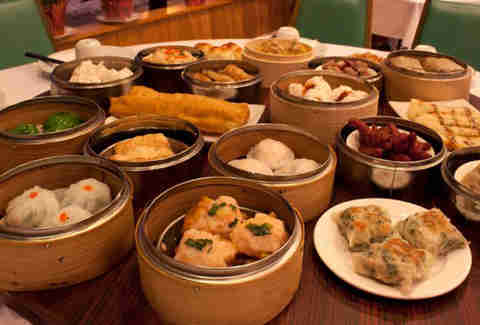 If dim sum’s not your style, there’s also a regular menu available featuring the more standard Chinese fare. Chicago’s title for best pho remains a constant battle between rivals Tank and Pho 777. The version here is similar to other places -- an aromatic bowl of soup filled with rice noodles and different cuts of beef, but the broth is a bit sweeter. What sets the restaurant apart, though, are the appetizers. Traditional Vietnamese classics count Spring rolls and bánh xèo -- a take on a savory pancake where rice batter is pan-fried and stuffed with shrimp for a large starter that’s enough for a meal on its own. Hai Yen serves up authentic Viet cuisine with a huuuuge menu featuring salads, soups, pho, stir-fried noodles, and a plethora of traditional meat and seafood dishes to satiate any craving that includes... salads, soups, pho, stir-fried noodles, and a plethora of traditional meat and seafood dishes. The signature item is the bo la lot appetizer: marinated pieces of beef and pork wrapped in a Hawaiian leaf. And those who enjoy doing things themselves will want to opt for the vinegar fondue or garlic lemongrass grill, which let you cook thin slices of beef at the table before making wraps with veggies and rice paper. One of the most popular Chinese bakeries in Chicago, Chiu Quon is located steps away from the Red Line Station, and is the perfect spot for a quick grab-and-go. There’s a variety of buns and pastries on display, and prices for most items hover around $1, making it a cheap way to fill up. 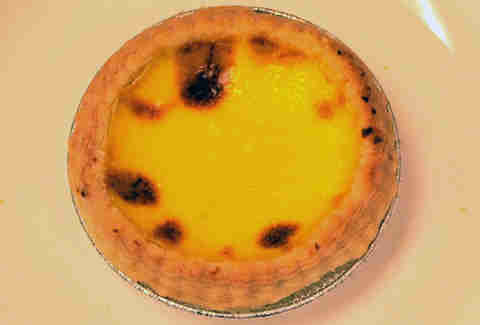 Classics like BBQ pork buns, moon cakes, egg tarts, and sesame balls with bean paste are favorites, while a selection of cake slices -- ranging all the way from tiramisu to mixed fruit -- round out an impressively girth-y menu.